When you graduate from college and are settling in on your new life, everything seems in grasp yet so far away. The enticing quality of credit loans is that they offer you to buy anything and everything, but they can also leave you in a heap of debt just when you are starting your career, making things immensely difficult for you. Maintaining a great credit score is immensely important for college graduates as this will ensure that they get a house, a car and some purchases that you will probably need in the times to come. Gauge your monthly budget and prepare for it accordingly. When you first start living on your own income, it is pretty difficult initially to determine how much do you actually need on your housing and living expenses, but this scenario can be easily addressed by budgeting your way out of it. It’s a very dreaded thing to get repeated calls from credit card companies after you have defaulted on your payments and the interest just keeps mounting up. This thing can happen if you over spend on your monthly income and start using credit cards as a supplement to your financial woes. Add up all of your monthly expenses like your house rent, utility bills, transportation expenses and groceries and then see how much is left. Divide the leftover money into proportionate amounts for saving and spending. Spend frugally now by avoiding visiting high end restaurants too much and saving from your commute daily by using alternate means like public transport and cycling. These habits will go a long way into securing a good and stable financially secure future for you. Use your credit smartly. 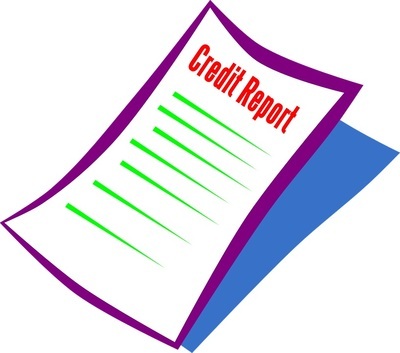 It is not advisable to not use your credit facilities at all, as deadness on your credit record will do no good to your credit score, making it look like it’s of no use to gauge your financial history. Instead, use it smartly by being extra careful on what you do with it. Create a limit onto yourself on how much can you spend through your credit facilities. Anywhere around 20%-30% would be really great as it is easier to pay off. If you want greater rewards then buying through your credit card and then clearing up the bill before interest is incurred would provide you with the opportunity to avail rewards and discounts that credit companies offer on such acts. Another reason of keeping your credit facility safe by having a cushion on spending will immensely help your cause if you are out of a job for a month or even more. Your credit card could be used to keep your life going normally - giving you breathing space as you try to get another job. Keeping credit working according to your needs provides a sense of security and to be used as a tool in times of need. Debt is your enemy, treat it like that. Students now graduate with larger amounts of debt to negotiate now than they used to do previously. So, coming to think of it, you are under considerable debt even before you started to earn making it really hard to manage your credit score as the repayment of a large amount looms on you. To avoid default, you must first avoid delinquency, which starts off by hating the loan and trying to get that monkey off of your back as soon as possible. This might take some resolve, but if you get out of it sooner than you were supposed to, it would immensely increase your opportunities to get lending in the future. Your credit score is a very precarious thing and a default on a student loan, even if it was paid off fully in the end could linger on your financial reports for many years which is a worrying sign for your future plans. Pay off more than you are required to and opt for higher payments each month than you are supposed to. In this manner you will be able to get rid of your student loan and improve your credibility, making you more successful in securing a good life ahead of you by buying things that will improve not only your living standards but also your happiness.